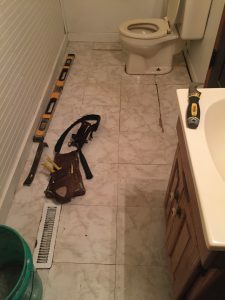 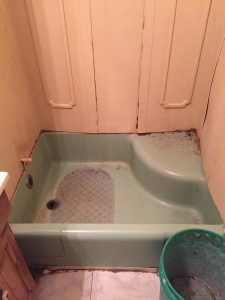 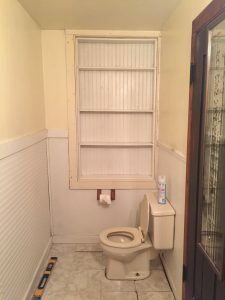 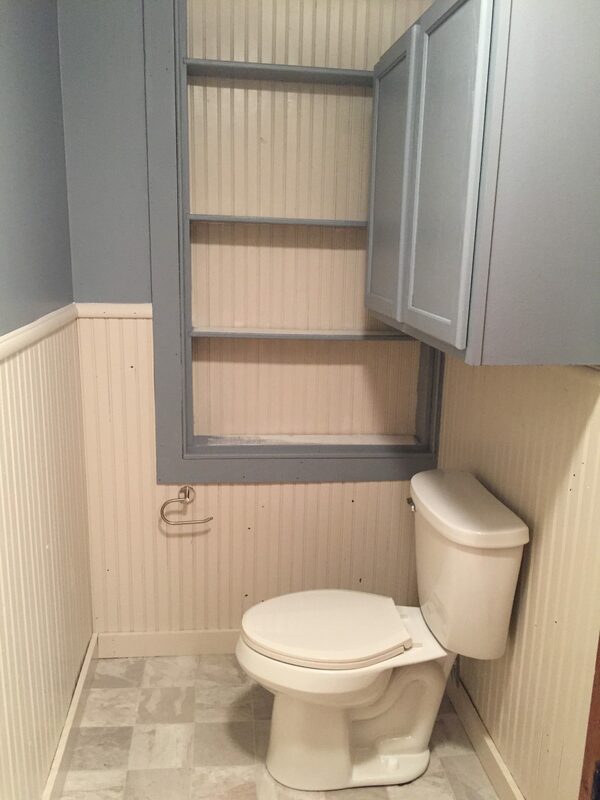 SOME MAJOR BATHROOM REHAB! 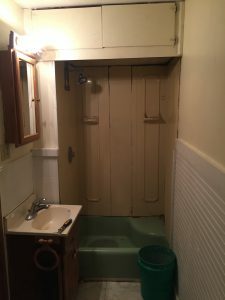 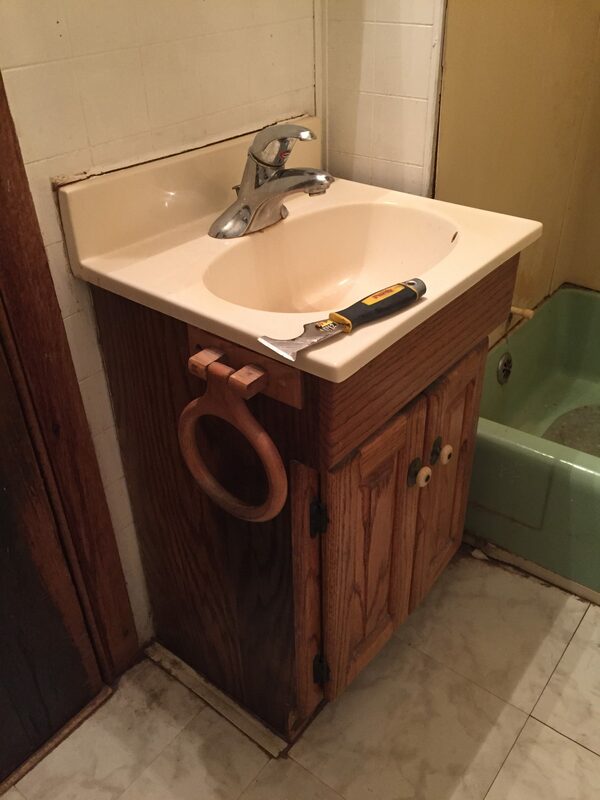 From what I understand, this bathroom was last remodeled in the 1950s, which means the update was well overdue! 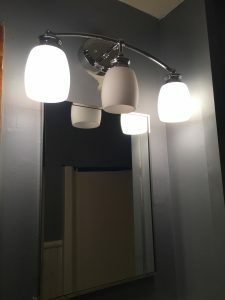 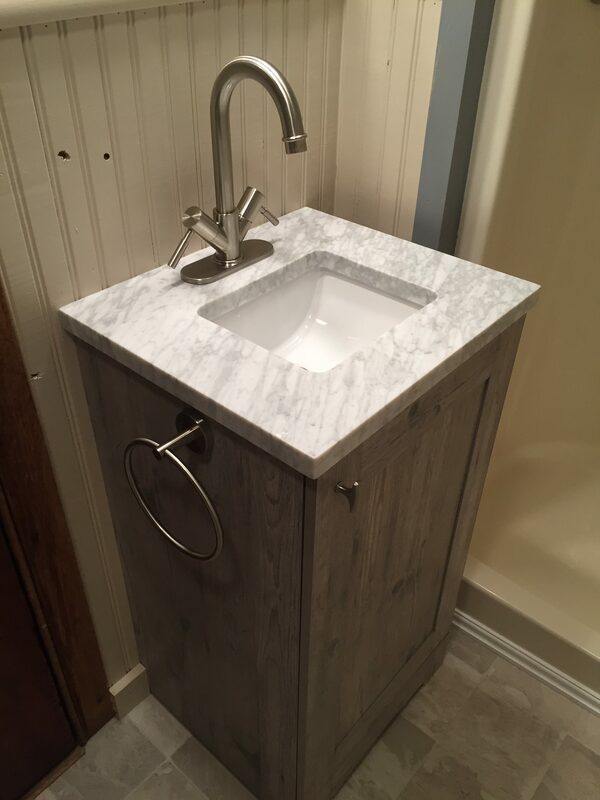 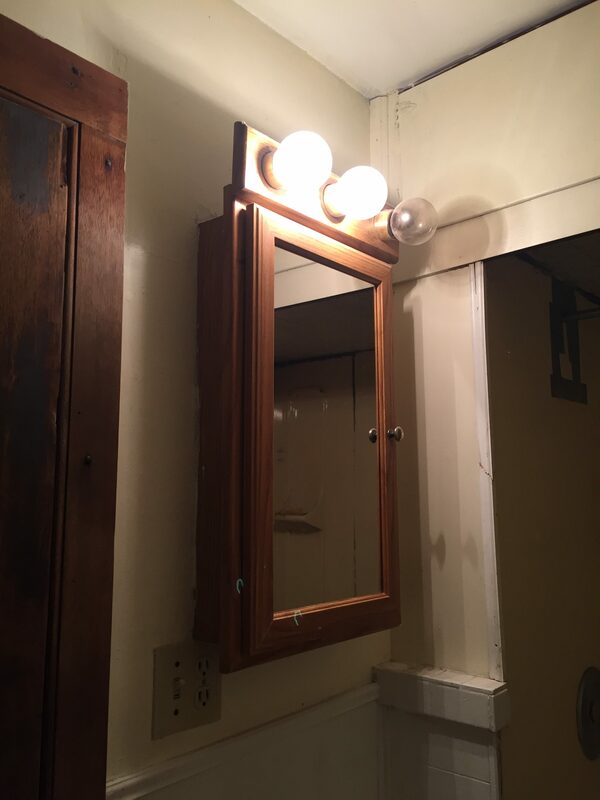 All major areas were addressed, including a new one-piece fiberglass 41″ shower unit (I pulled out the cabinets above the shower alcove to open up the space a bit), new 19″ vanity with quartz top, new Mansfield Summit high-power toilet, wall-mounted light fixture, and mirror. In addition, I installed a new bathroom exhaust fan/light fixture venting through the attic to the outside. 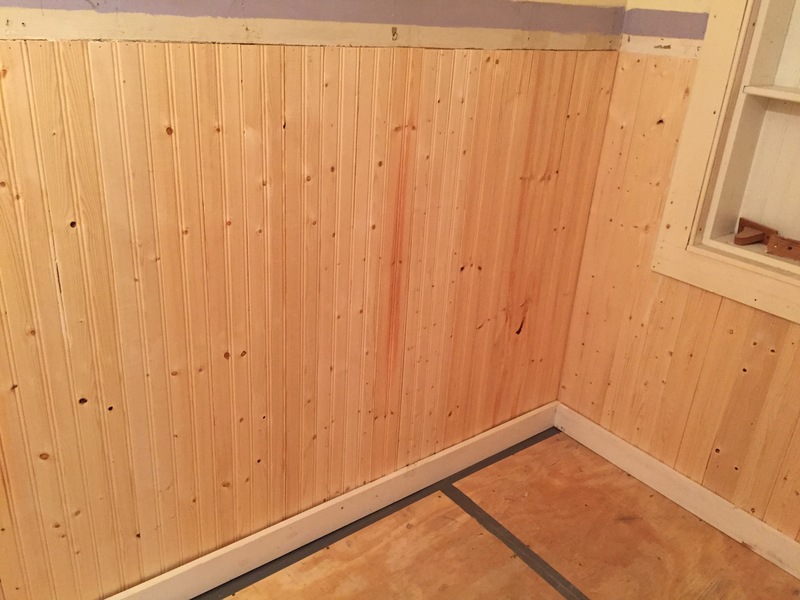 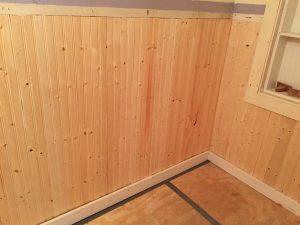 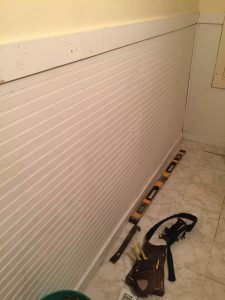 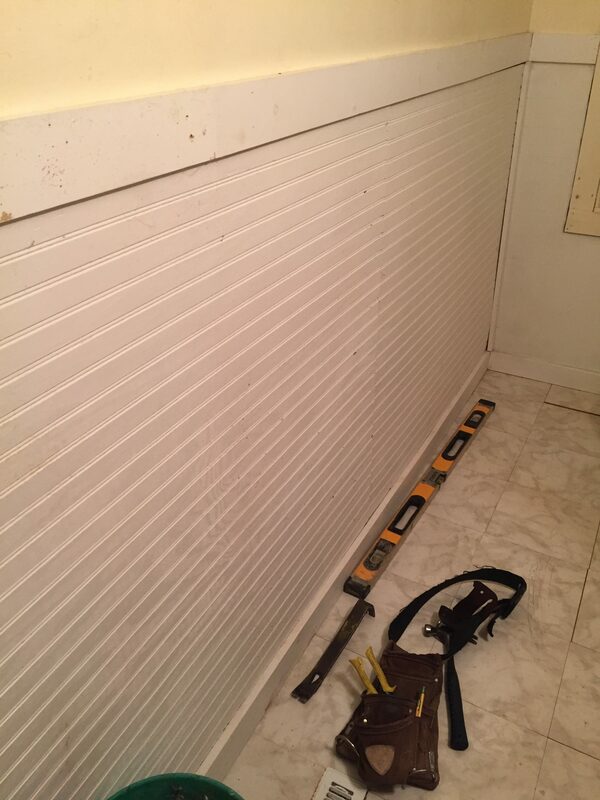 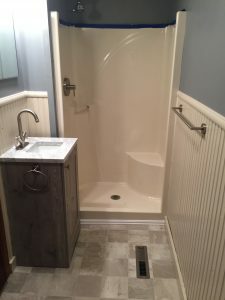 I also installed a rustic solid pine bead board wainscot and chair rail trim around the entire bathroom, as well as 1×4 pine base to update the look. 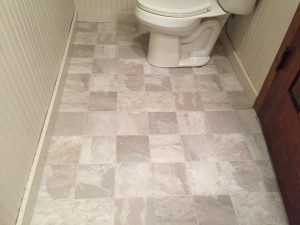 The flooring is a durable glueless sheet vinyl, which is super affordable and will last the test of time. 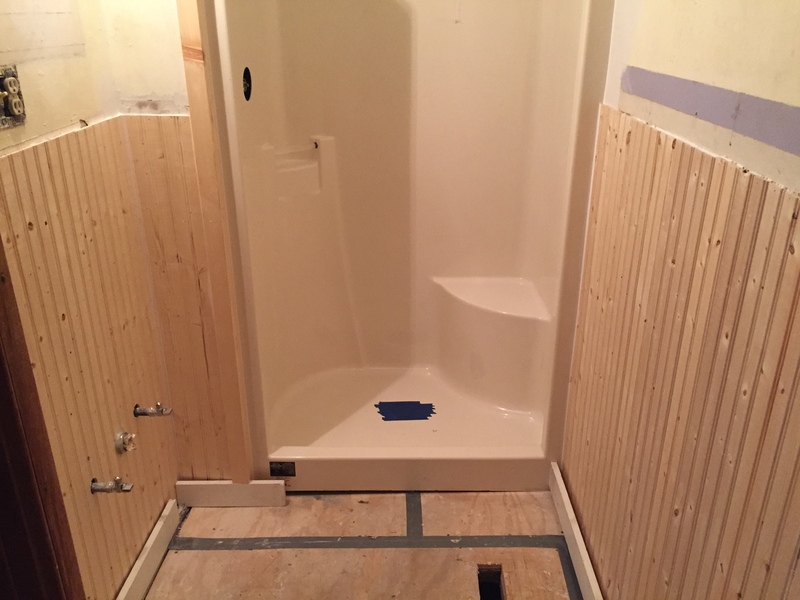 Remember, I always include new quarter-turn shut-off valves, stainless steel braided supply lines, and traps with all bathroom remodels, and I always install my showers and tubs in a sturdy mortar bed for years of lasting enjoyment. Give me a shout if I can bring YOUR bathroom into the 21st century! 419-212-3200 – FREE ESTIMATES.